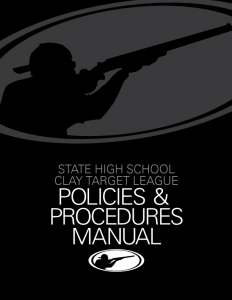 The Kentucky State High School Clay Target League’s Policies & Procedures are designed and published to define all major decisions, actions and activities for all participants of the League including student athletes, parents, coaches, schools and shooting ranges. 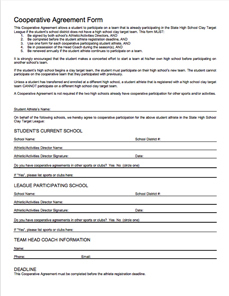 If an athlete wants to participate in the League and the athlete’s school does not have a team, the athlete may participate on another school’s team only if a team has room for the athlete and a Cooperative Agreement is signed by both school’s Athletic/Activities Directors. A team must have room to accommodate a new athlete. Both school Athletic/Activities Directors must sign agreement. A Cooperative Agreement is valid for only one year. 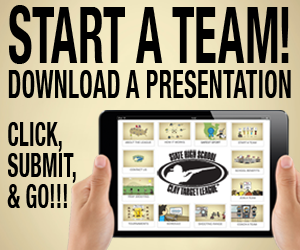 Athletes must attempt to join other teams within the athlete’s same school district first. 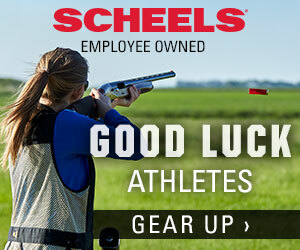 If no team is available within the same school district, a student may then join another team that is located nearest the student’s school district. Cooperative agreements must be completed before the athlete registration deadline and the agreement must be retained by the head coach. The coaching staff for a team makes all decisions if they can accommodate any athletes from other school districts. It is strongly encouraged that the athlete makes a concerted effort to start a team at his/her own school before participating on another school’s team.